There's a folding handle that you can rotate for maximum handheld convenience. 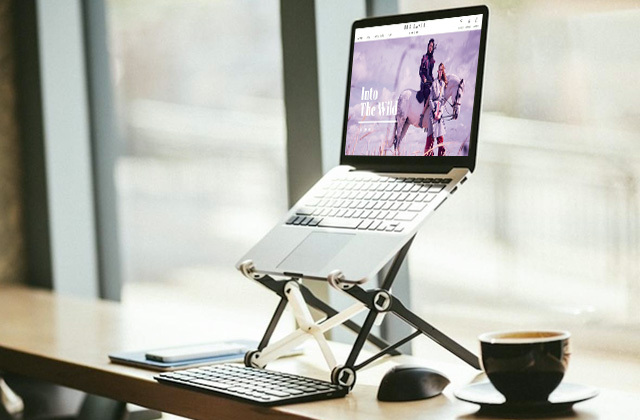 Sturdy and durable, the aluminium handle doubles as a stand. This mini desk fan operates at below 30 decibels, meaning it is practically silent. It will be able to add a touch of style to any room. The USB cable is a little short. 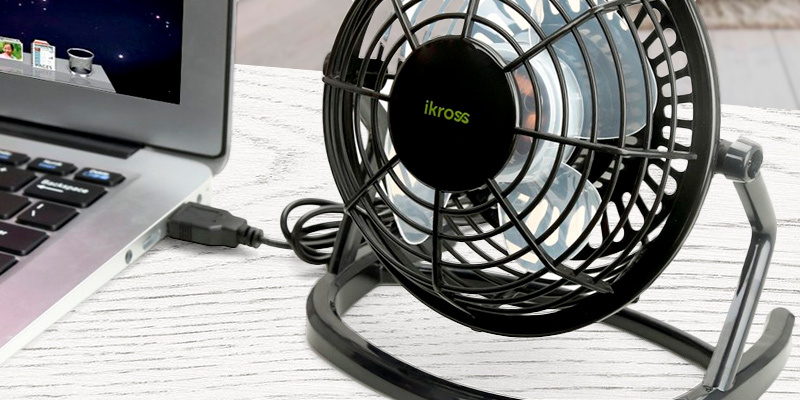 This is probably the best USB desk fan on this list. 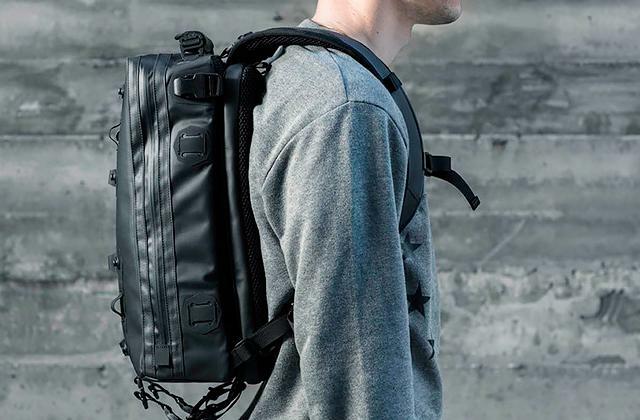 It is small, lightweight, quiet, portable, and powerful. It looks good and works just as well. You can bring it with you on a camping trip or throw it in the suitcase and take the fan to another country. 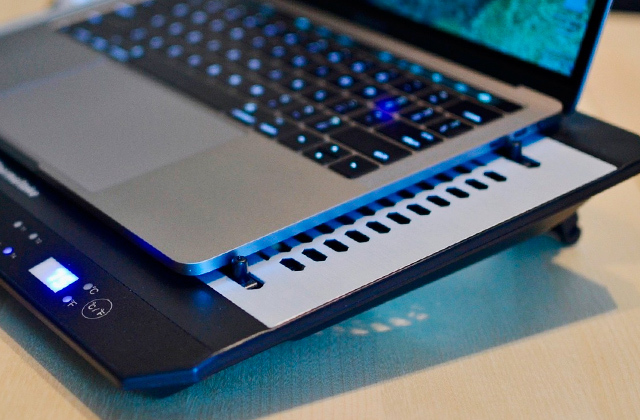 You can clip the fan to practically any surface. The jaws on that clip open really wide, making it possible to easily and securely attach the fan to the edge of a desk or a monitor screen. Though the jaws are reliable enough, they don't leave any scratches or marks after them. Gets a tad loud at the second speed setting. Keynice KN-835-BK is a little more versatile than your average tabletop fan and we like the model for it. The USB cable here is really long, so you'll be able to position the fan wherever you see fit. The fan incorporates a modern design, with a streamlined profile, curved frame, and polished look. 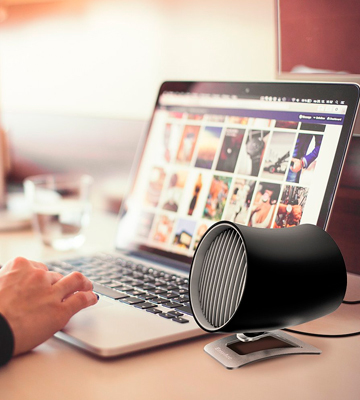 Its classic black finish allows the device to blend seamlessly with different interiors. The sensitive touch control lets you switch between the speed settings without pushing any buttons. The stand doesn't adjust that much. EasyAcc FNLX doesn't really look like your typical USB desk fan and that is hardly a bad thing. 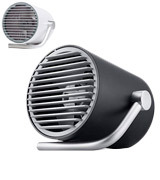 More often than not, these fans look bland and uninspiring, while the model in question is anything but that. 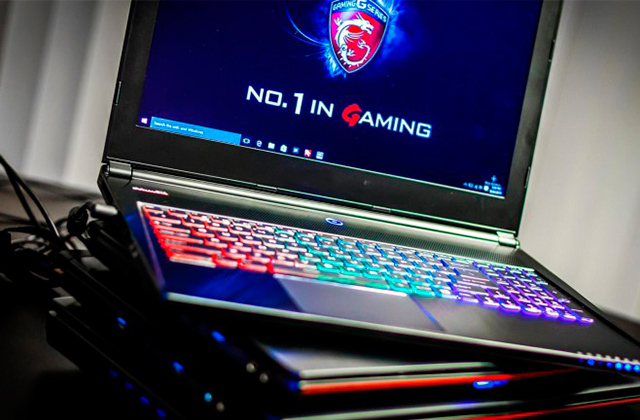 Sleek and powerful, you can't go wrong with this one. The model comes equipped with 2 built-in rechargeable batteries. It also features a built-in LED light. Surprisingly bright, this light allows you to use the fan as a nightstand lamp or as a flashlight alternative on a camping trip. There are 3 speed settings you can choose from. With just 3 blades, the fan isn't all that powerful. 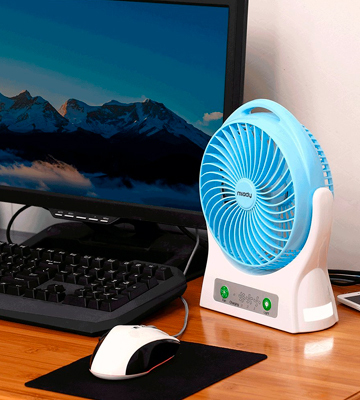 This Miady USB desk fan is functional, flexible, and a great all-around option. Though it isn't as powerful, the model can do other things that its more expensive counterparts are unable to replicate. Plus, you can choose between 3 different colours. You can power the fan via USB or AC. Fitted with a powerful copper wire motor, as well as 4 wide plastic blades, the model is able to enhance the airflow up to 3 metres per second. You can adjust the fan any way you prefer with its 360-degree vertical rotation. There's only 1 speed setting. This is a solid USB desk fan. For the most part, it excels at doing more with less. It is a practical model in most respects and an effective personal cooling solution, perfectly suitable for home or office use. 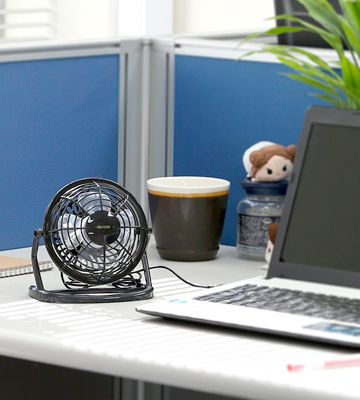 Fancii Small Personal USB Fan is a tiny powerhouse, able to keep you nice and cool at your desk. But first, let's talk about its appearance. Featuring a relatively chic and sophisticated modern design, this model is perfectly capable of adding a touch of style to just about any desk and interior decor. It'll definitely look great on your desk. That said, the fan will look at home on your bed stand or even in your hands. You can bring it with you on a camping trip or throw it in the suitcase and take the fan to another country. 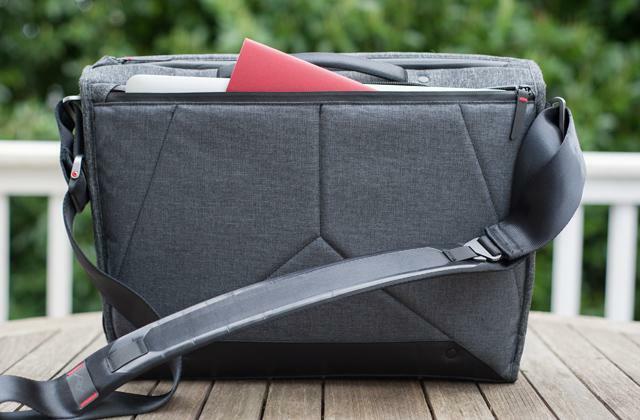 There's a folding handle that you can rotate for maximum convenience. Sturdy and durable, this aluminium handle doubles as a stand. 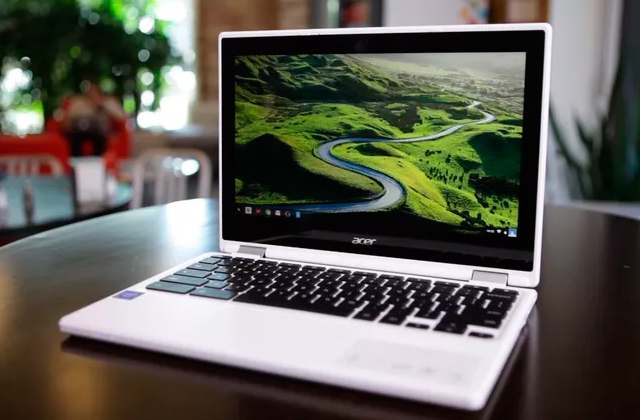 You can rotate it 180 degrees and position airflow the way you see fit. Equipped with the twin turbo Cyclone-Blade technology, the model can cool up a sizable area in no time at all. 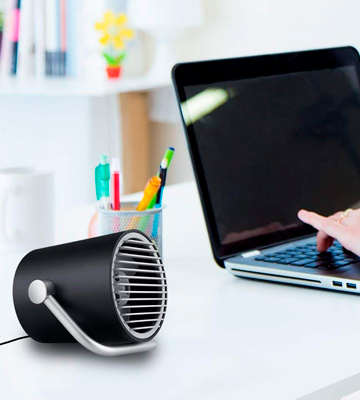 However, despite its powerful nature, this USB desk fan operates at below 30 decibels, meaning it is practically silent. You can bring it to the office and turn it to the second (highest) speed setting without bothering the colleagues sitting next to you. Its USB cable is the only area where the model disappoints. A little short, this cable will likely keep you tied close to your laptop or desktop computer. Aside from that, this is probably the best USB desk fan on this list. 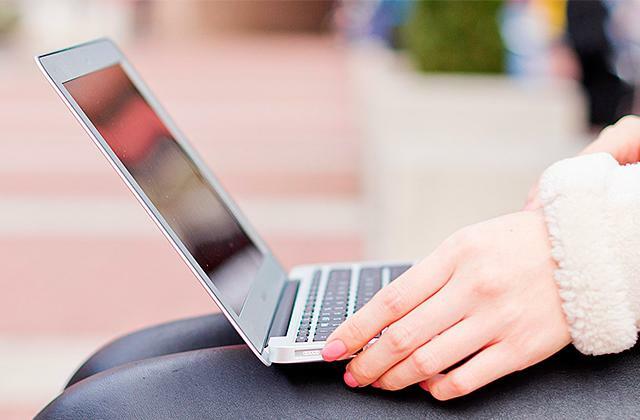 It is small, lightweight, quiet, portable, and powerful. It looks good and works just as well. The difference between Keynice KN-835-BK and every other product in this review mostly lies with the built-in clip that the former comes equipped with. You can clip it to the stand that also comes supplied with the fan or you can attach it to practically any other surface. 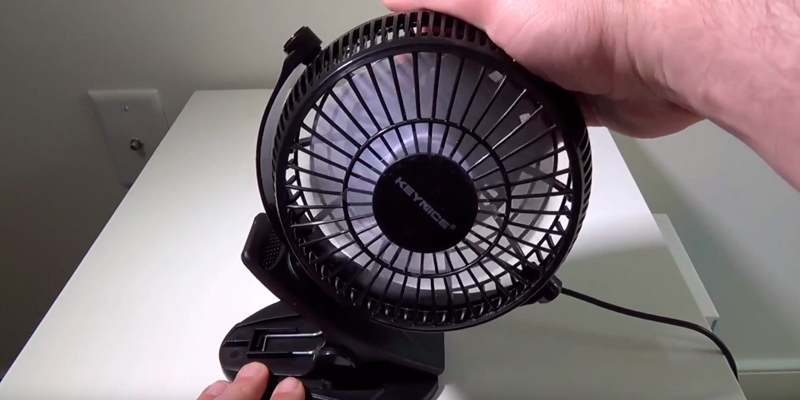 The jaws on that clip open really wide, making it possible to easily and securely attach the fan to the edge of a desk. 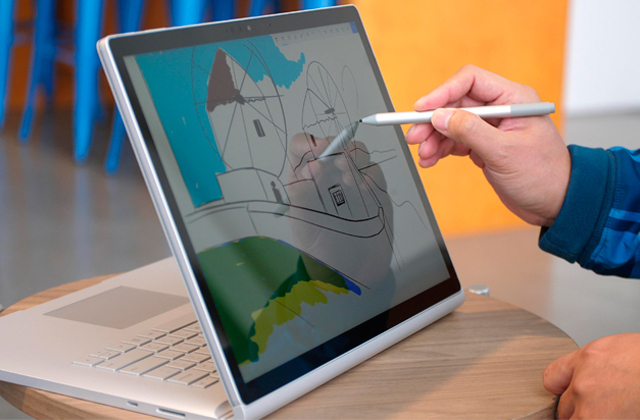 You should even be able to attach it to your screen provided it doesn't have one of those bezel-less designs. Though the jaws are reliable enough, they don't leave any scratches or marks after them. 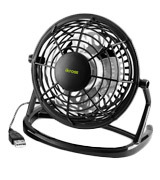 Other than that, this is more or less your standard USB desk fan. Its ABS plastic construction is environmentally friendly. The aforementioned stand is adjustable. The model incorporates 2 speed settings and, for the most part, is really quiet, with its brushless motor. That being said, it does get a little loud at the 2nd speed setting, nothing too crazy but noticeable enough. Without the stand, it is easily one of the smallest fans around. But, even with it, the model doesn't take away that much space. Bottom line, Keynice KN-835-BK is a little more versatile than your average tabletop fan and we like the model for it. 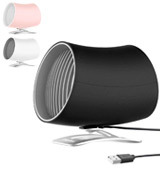 The USB cable here is really long, so you'll be able to position the fan wherever you see fit. EasyAcc FNLX easily stands out from the fan crowd with its unorthodox, modern design, a streamlined profile and polished look. 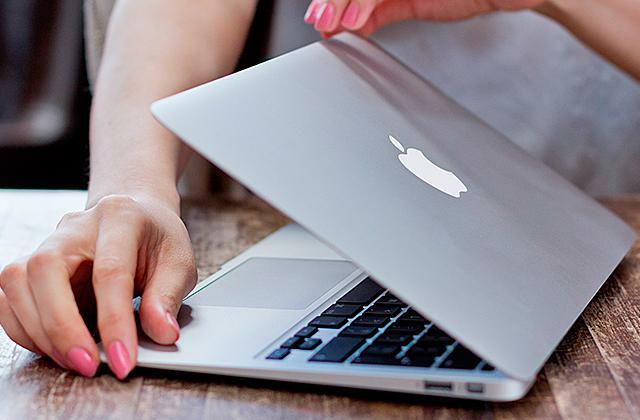 It looks less like a fan and more like a high-tech gadget, definitely a plus in our book. That being said, its classical black finish allows the device to blend seamlessly with different interiors. Measuring just 10 x 14 x 13.5 centimetres in overall dimensions, the model is really small and compact, highly portable, to say the least. It is also a lot more powerful than you'd think based on its tiny frame. 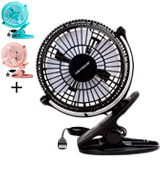 Armed with 3 blades in front, as well as 5 blades in the rear, rotating in opposite directions and driven by two different motors, this USB desk fan is no joke, capable of producing a powerful breeze at lower noise levels (between 30 and 40 decibels depending on the speed setting). Though you can adjust the angle upwards and downwards, there isn't that much wiggle room and the tiny stand doesn't really adjust that much, about the only real flaw of this product. Finally, the sensitive touch control also looks the high-tech part, allowing you to seamlessly switch between the speed settings without having to push any buttons. In short, EasyAcc FNLX doesn't really look like your typical USB desk fan and that is hardly a bad thing. More often than not, these fans look bland and uninspiring, while the model in question is anything but that. 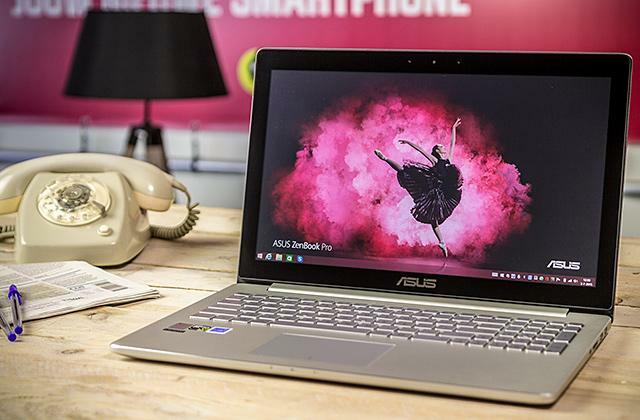 Sleek and powerful, you can't go wrong with this one. 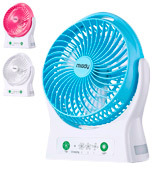 This model from Miady is more or less your traditional desk fan, with its very own advantages and disadvantages. Starting with the former, the model comes equipped with 2 built-in rechargeable batteries. Needless to say, not being tied to any power source is never a bad thing. You can move the fan around the house and bring it with you on a trip without worrying about available power source options. Another little detail that makes this fan a great travel model is a built-in LED light. Surprisingly bright, this light allows you to use the fan as a nightstand lamp or as a flashlight alternative on a camping trip. You can rotate the grill however you like and adjust it to any position. Lastly, the model comes equipped with 3 speed settings, a nice change of pace from the usual 2. With an additional speed setting, you'll be able to choose just the right speed, not too high and never too low either. So, that's a solid list of advantages. What are the disadvantages? Well, as far as we're concerned, it's just the one but it is not a small one. With just 3 blades and a relatively unimpressive motor, the fan just isn't that powerful, even at the highest speed settings. 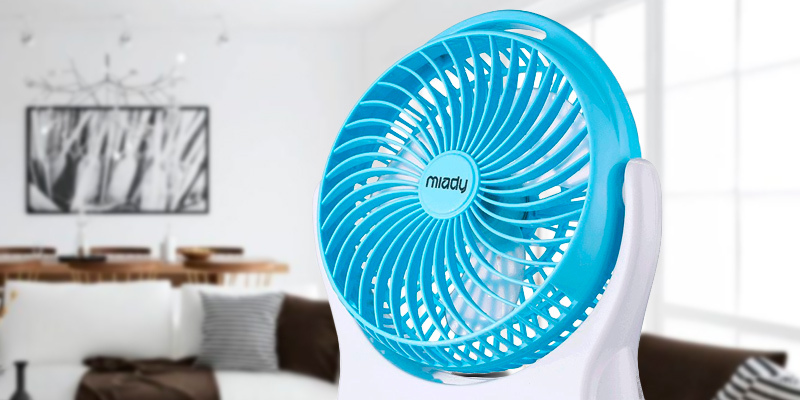 Other than that, this Miady USB desk fan is functional, flexible, and a great all-around option. Though it isn't as powerful, the model can do other things that its more expensive counterparts are unable to replicate. Plus, you can choose between 3 different colours. This iKross USB is really small, adding up to just 15.25 x 10.15 x 15.25 centimetres in overall dimensions. It will hardly require any desk space. Plus, it doesn't have to be a desk either. 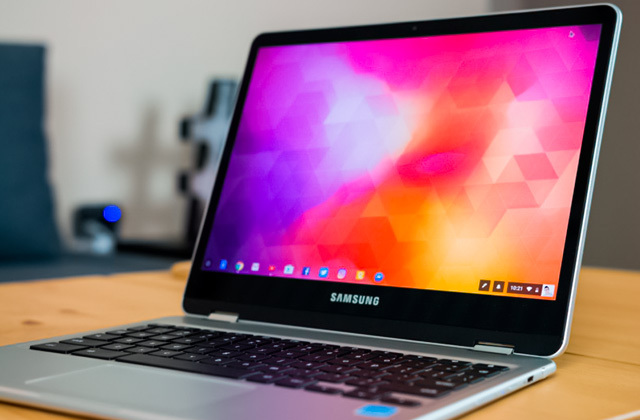 The model gives you 2 power source options: you can go with the USB port, using the USB cable that comes with the package and any device with a USB interface. Or you can choose the traditional AC option, just keep in mind that the company doesn't supply you with an adapter, so you'll have to purchase it separately. We really like the way it looks, with a nice black chassis and white-ish see-through blades. You can adjust the fan any way you prefer with its 360-degree vertical rotation. Fitted with a powerful copper wire motor, as well as 4 wide plastic blades, the fan is able to enhance the airflow up to 3 metres per second. However, despite its powerful disposition, the model is surprisingly quiet, mostly thanks to the plastic body casing that's been cleverly designed to absorb fan vibrations, keeping the noise levels below 30 decibels. Now, this product didn't score higher on our list mostly due to the fact that it comes with just 1 speed setting. Not being able to adjust the airflow velocity is something that we will always deduct points for. Nevertheless, this is still a solid USB desk fan. For the most part, it excels at doing more with less. It is a practical model in most respects and an effective personal cooling solution, perfectly suitable for home or office use. 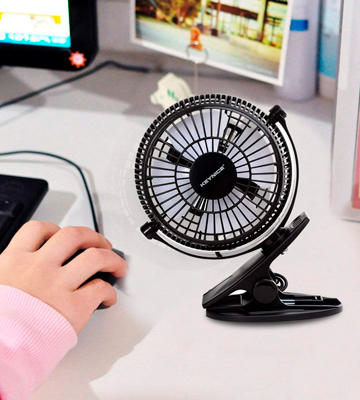 What Is a USB Desk Fan? 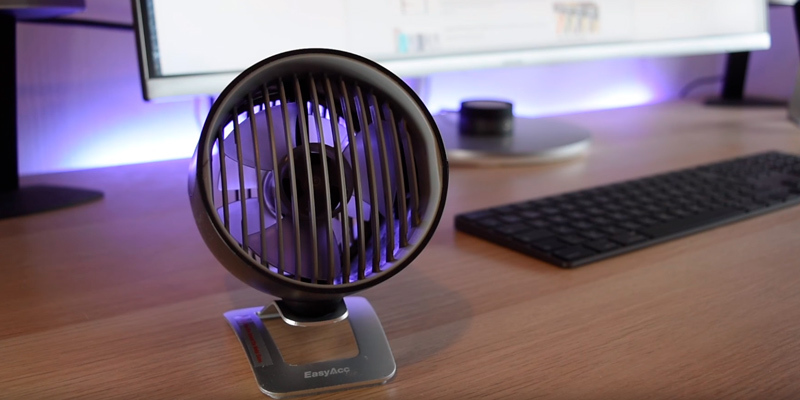 If you spend a lot of time working on the computer, a USB desk fan is a device that you could definitely benefit from. 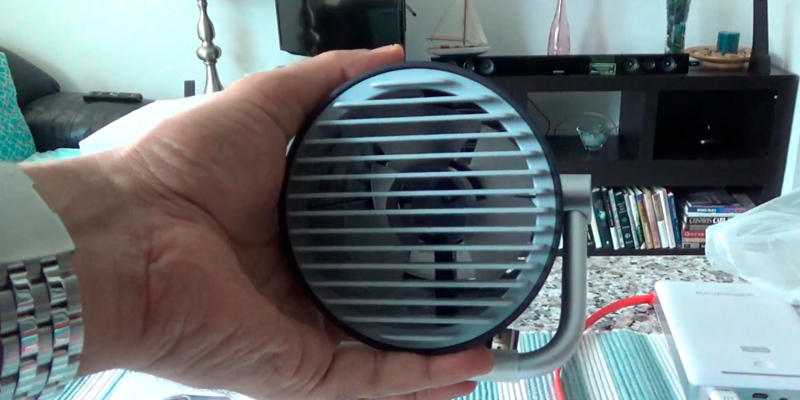 These fans are very compact and quiet and especially relevant in the hot season. As their operating noise is usually lower than average, USB-powered fans are often used at computer desks in offices. There are also portable models that can be carried around and used for cooling digital gadgets. Though they may seem similar, various fans have different specs and features. What you should be looking for first and foremost is the size, the number of blades, and the materials involved. A good model, more often than not, will have multiple speed settings and an adjustable stand. Other than that, it is never a bad idea to opt for a fan that has more than 1 power source option. In our review, you will find 5 different models of fans. Among these models, there's definitely a fan or two that will be able to match and suit your needs. 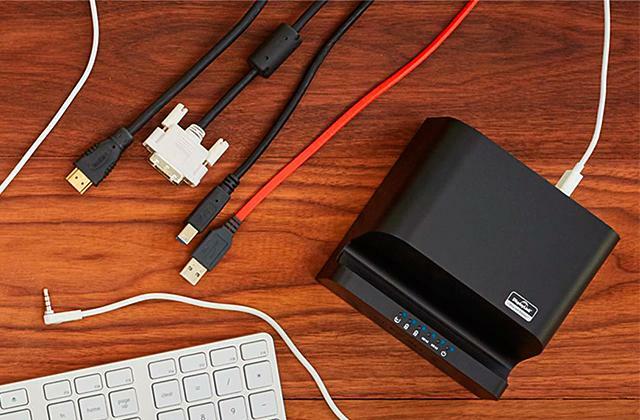 To enhance your working space in the office or at home, you may also want to consider using such computer accessories as USB hubs or laptop docking stations. 1. Fan Buying Guide, Walmart. 2. Preet Dhunna How does the USB LED Fan Clock work? How can I make it work? Quora. January 17, 2016. 3. What is a USB Fan? wiseGEEK. 4. Mechanical fan, Wikipedia. April 9, 2017. 5. What Is a Rechargeable Fan? wiseGEEK.